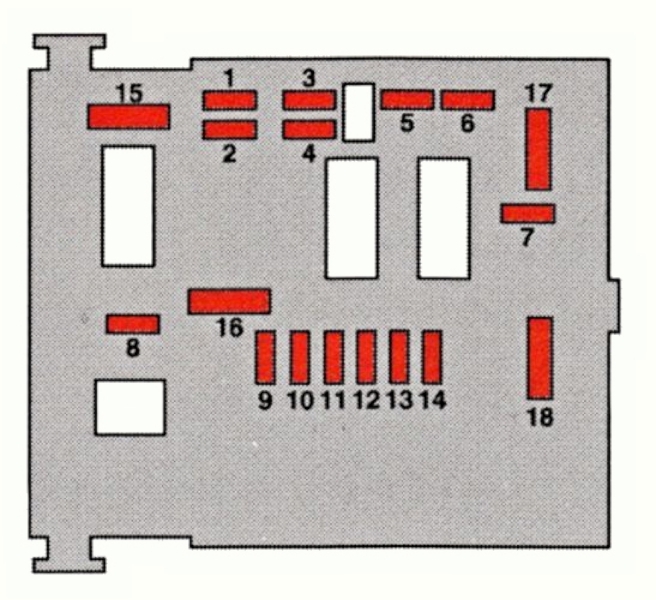 The left glovebox has the BSI which holds a number of fuses and a link. 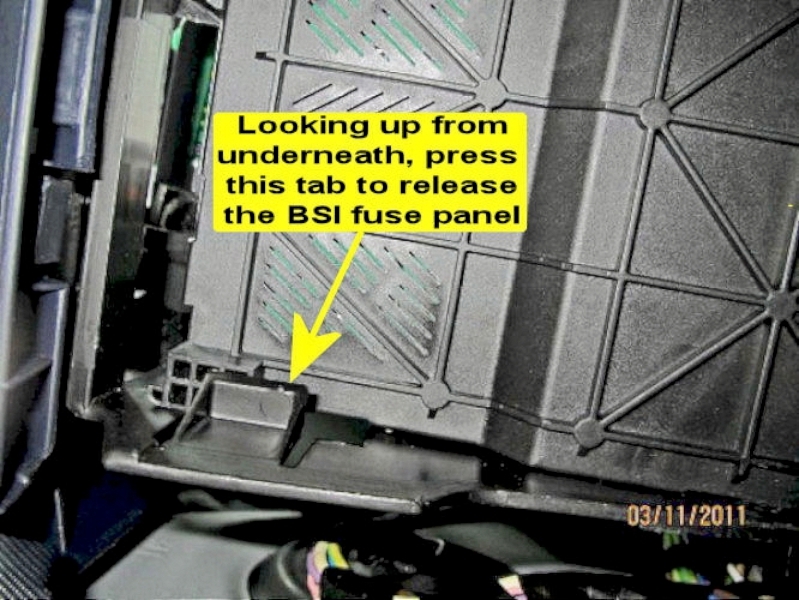 If your car won't start or the doors won't work even after a reset, try removing the link HS (or SH) in the BSI for 15 minutes and then replace it. This may also reset some of the preferences but should at least get you going! 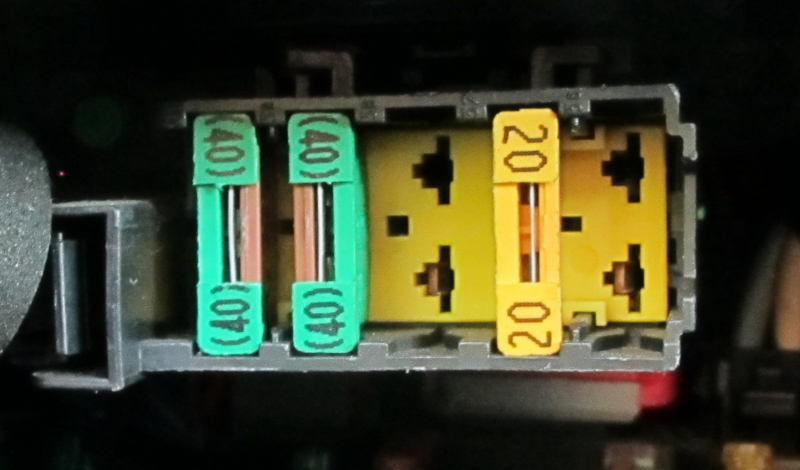 the two 40amp fuses here are for the sliding door main motors, one for each door. 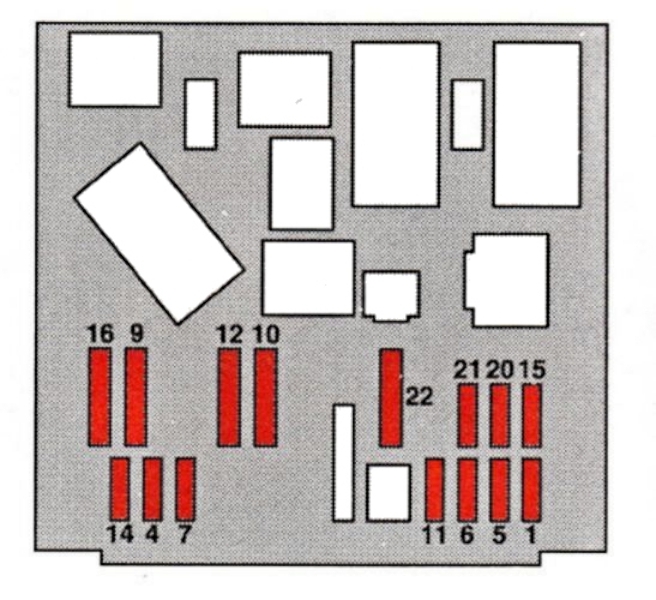 They should be in the two left-most sockets. 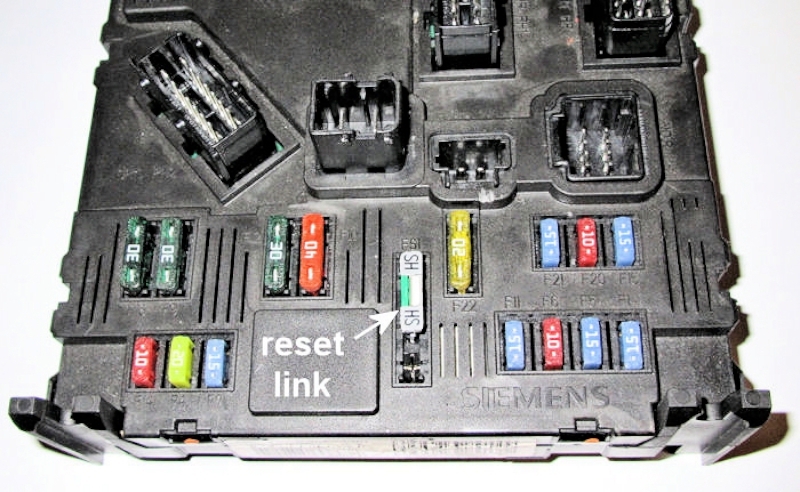 A few cars will have an additional fuse (4th from left) - this is for the JBL 240-watt Hi-Fi system when fitted. 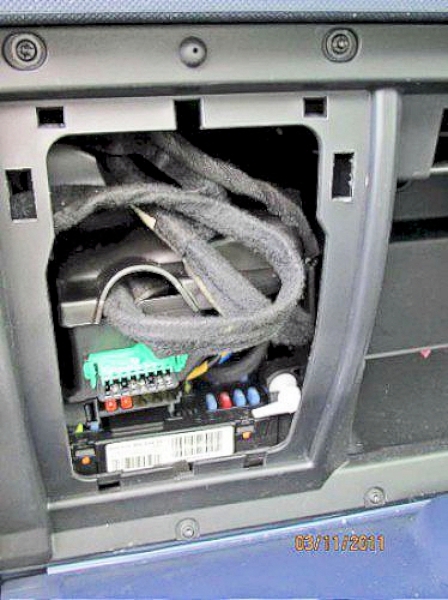 Access to the fuse panel in the glove box is not obvious: - first release the white lever (mine was already broken and the panel is well enough secured without it) which locks the panel in position with a quarter-turn. 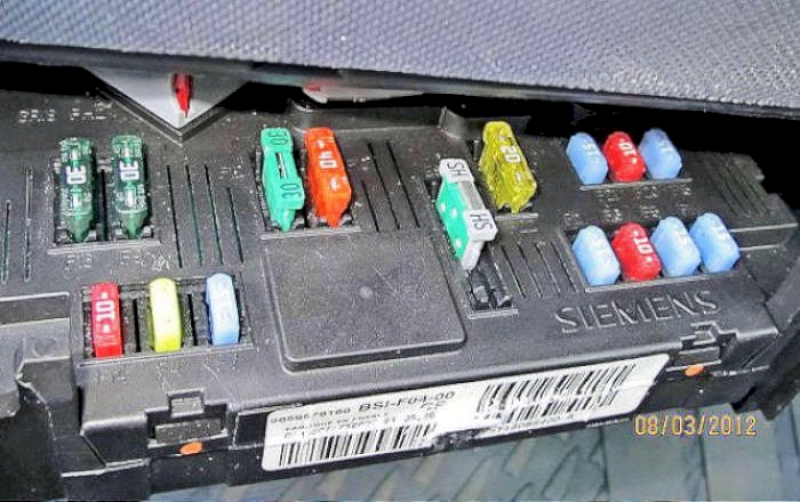 Then reach underneath and feel for a springy piece of plastic; on my RHD cars this is on the left near the back of the fuse panel (closest to the lid and the outside of the car). Push this sideways at the same time as pulling the fuse box assembly forward and down. The whole box can be lowered by pulling forward and the bulkhead end downwards so the pegs disengage along the grooves - it is a tight fit but simple once you know! 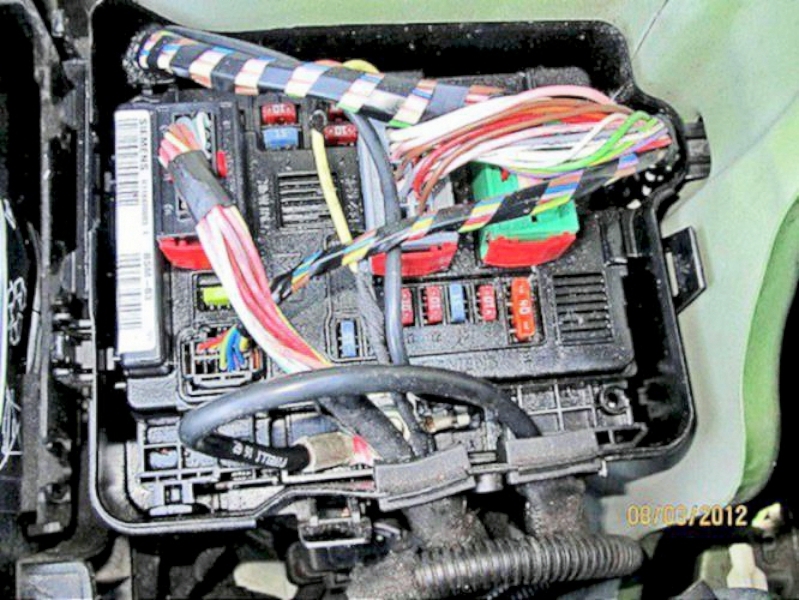 The engine compartment fusebox is under the bonnet, to the right of the battery when standing in front of the car. Access is by pushing the clip holding the right-hand edge to the right; this should release the cover which simply lifts off. 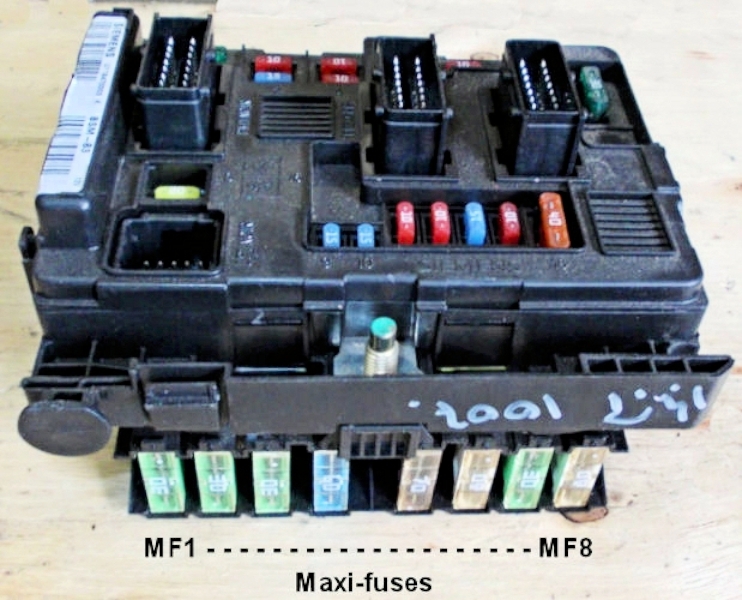 If this lid is not replaced properly, WATER CAN GET INTO THE FUSEBOX and can drain down into the FUSEBOX IN THE GLOVE LOCKER that can give rise to unconnected results affecting various circuits. 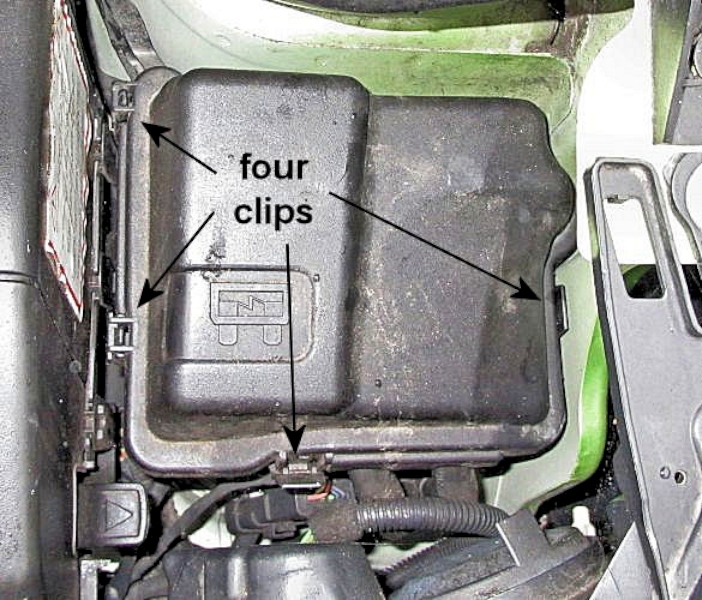 Locate the lid in position and press down hard until the clip at the right hand edge clicks into place.